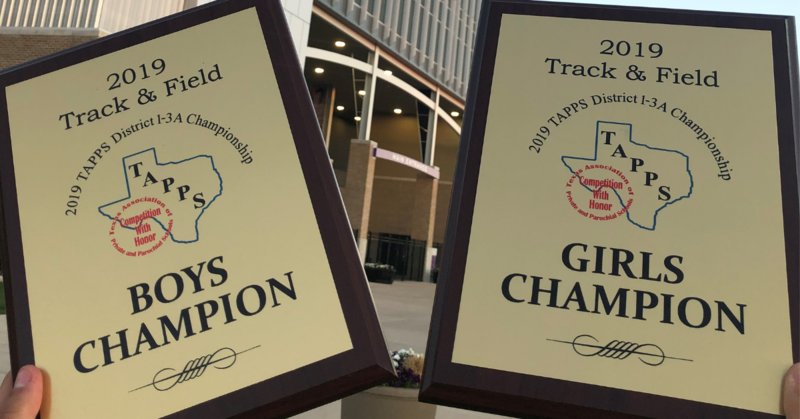 LCCS had a great day at the TAPPS District 1-3A Track Meet! Our athletes returned as both the boys and girls District Champs! We are excited about their success and look forward to Regionals on April 26. Below are the athletes that placed among the top eight in their event, and RQ denotes regional qualifiers. Congratulations, Eagles!